Minimalist and multifunction, this was what we thought when we first saw iLoop smartphone holdersubmission. Aside holding your phone in style, you can also use this product to exercise your hand grip, strengthening you fingers, arms and muscles to release stress. Don’t worry, it will back to its perfect form after you do the exercise, nice. Without compromising its main function, this product is pretty fun for everyone to use, you have limitless options of usage by combining multiple iLoops together to hold your phone while watching movies or playing games. 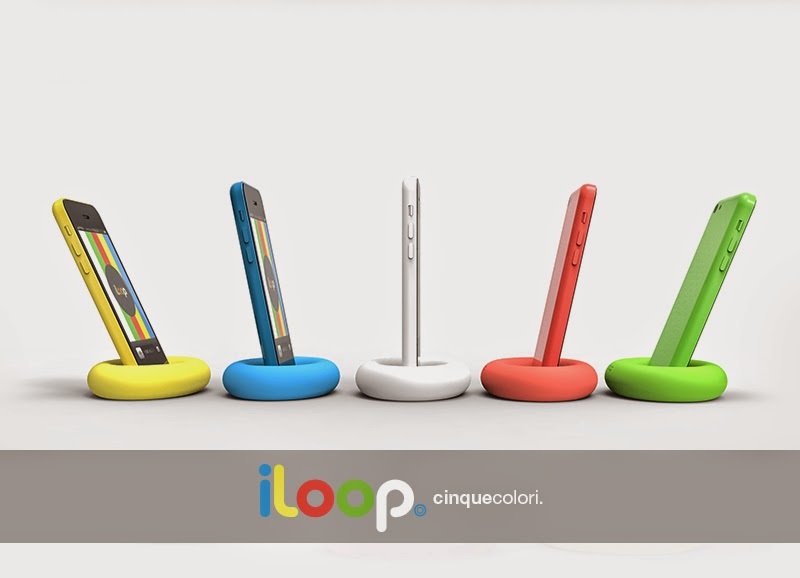 Place your mobile phone on iLoop while you’re not using it, iLoop smartphone holder fits most sizes of mobile phones. You can take group or family photos without anyone missing, just use this holder, very practical isn’t it? iLoop is all about inspiration. It proves that things can be reinvented even today in today’s market which is overflown with products and information. It is hard to make something new, it is hard to be original, yet in the iLoop lies something like this and something very unique. It proves that everybody can come up with their great idea that can be used in the world. ?It is an inspiration from all vantage points. 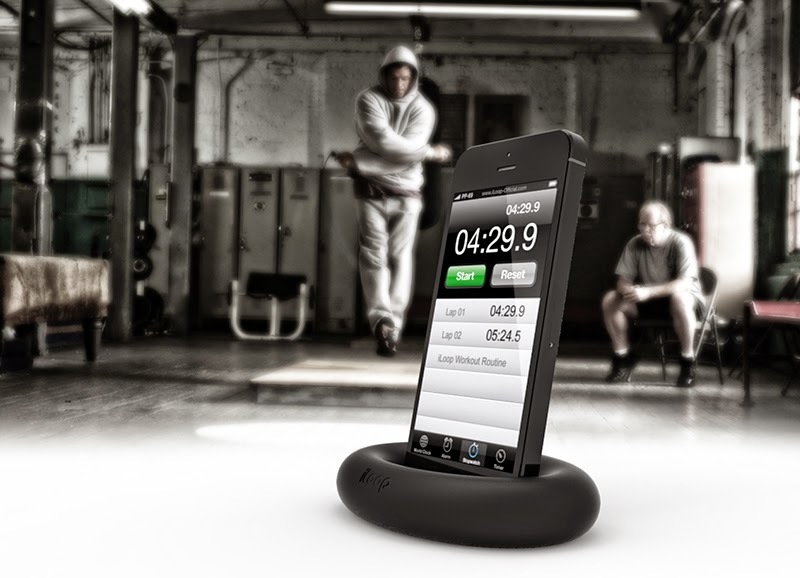 From it’s usability as a phone holder and a stress releif item, that you need at hand almost all the time.? It is an inspiration in the story and from it’s simplicity and clarity it is a perfect example of a product placing and branding. Fact: virtuably unbreakable and undistructible, sinks in the water. Design: iLoop defines both principles form follow function as well as form follow emotion. 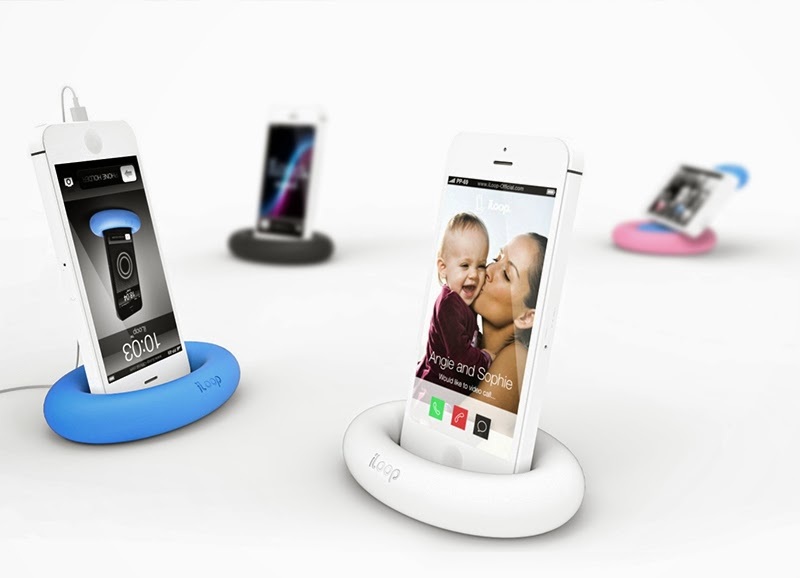 Sound: iLoop effectively enchances sound while mounted on the mobile phone. 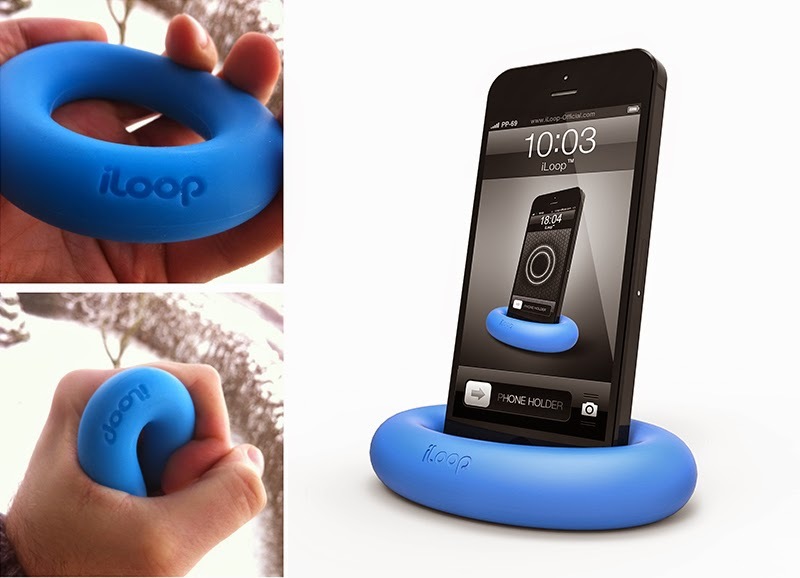 iLoop holds and protects a mobile phone while it is used for speaker, conference or face to face call. While the phone is used for private conversation, caller can squeeze it to relieve stress and strenghten hand and arm muscles. It firmly holds the mobile phone in an upright position and fits most sizes of mobile phones. It helps you take solo, group or family photos without person missing. Using two iLoops you can easly watch movie or us your phone as navigation device in your car. Usage is almost limitless since every day people send us new ways how they can use it. 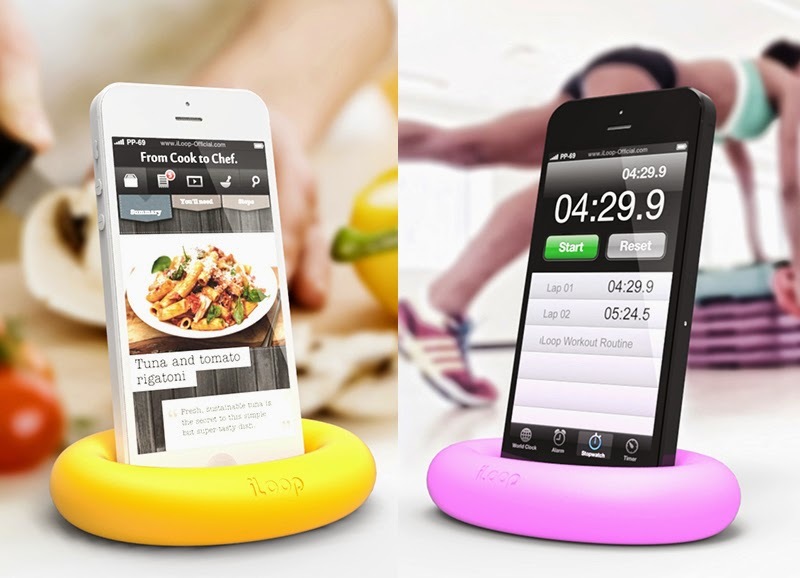 iLoop is elegant, minimalistic and multifunctional holder for your phone and it does come with a twist. Without compromising it’s primary function of beingphone holder, it can also be used as an effective hand grip for strenghtening your finger, palm and arm muscles and relieving stress while having a conversation on the phone. It is extremely fun, contagious and useful gift. iLoop is fun for everybody, it’s safe to use and it protects health. It enables limitless options of usage and combining multiple iLoops together brings all new fun activities from watching movies to playing games. iLoop is available in Original and Neon collections as well as fully customisable business/corporate gift and merchandise item. Visit iloop-official.com for more info.